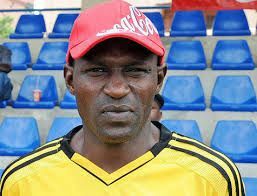 Garba Lawal has declared that inviting foreign based pros to the country’s team is a huge waste of money. The Atlanta ‘96 Olympic gold medalist has therefore called on the Nigeria Football Federation (NFF) to mandate whoever is named as the Eagles head coach to build a team from players in the domestic league. Lawal in an interview with AfricanFootball.com maintained: “Inviting foreign-based players is a waste of money. “We invite them, pay their air ticket refund, pay them allowances and what do they give us? Nothing. No result.